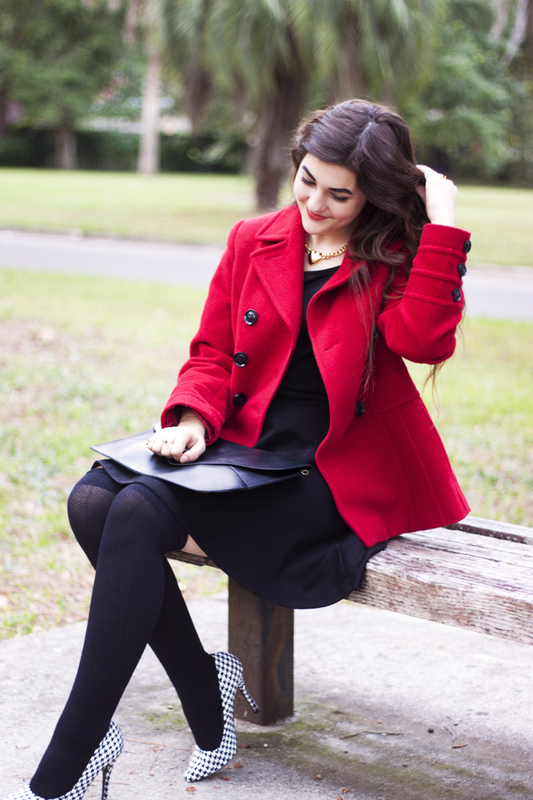 Wearing: Forever 21 dress, JC Penney coat, Boohoo heels, Banggood clutch. i decided that I would keep my outfit more simple today, and leave it up to my coat and my heels to make the outfit pop! I've added yet another item to my growing collection of houndstooth with this lovely pair of heels from Boohoo! 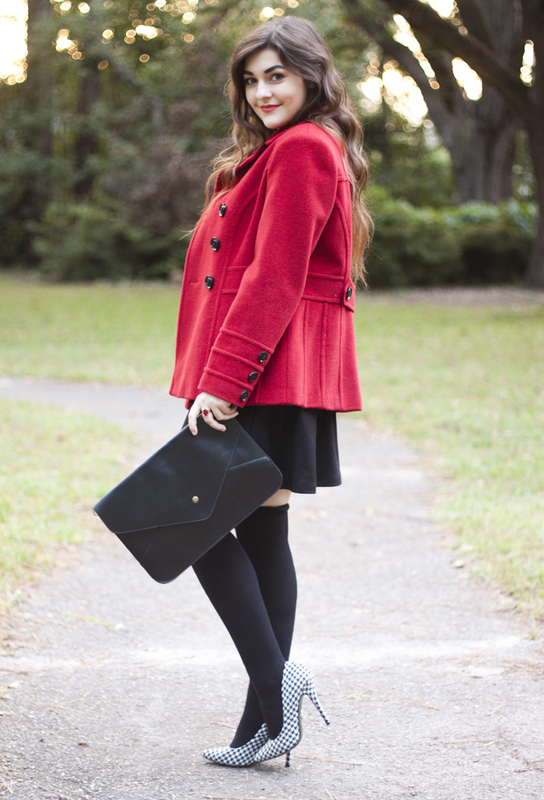 I thought they would go perfect with my bright red coat, so I left it all up to these little details to really bring out my black skater dress and my black thigh-high socks! I absolutely adore your red coat, which is such a lovely colour on you! 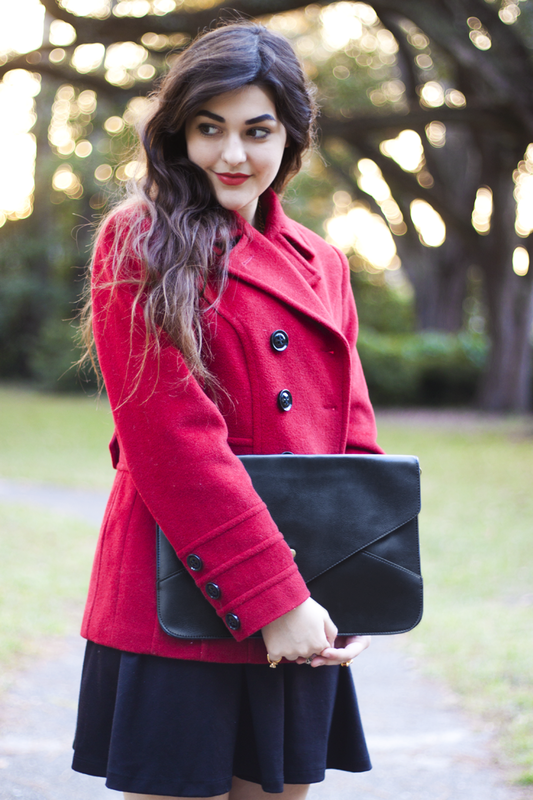 so loving your red coat and clutch! they blend perfectly in your outfit! Can I ask a silly question? Is there a secret to getting thigh-high socks to stay on your thighs?! Mine always curl down and end up below my knees!